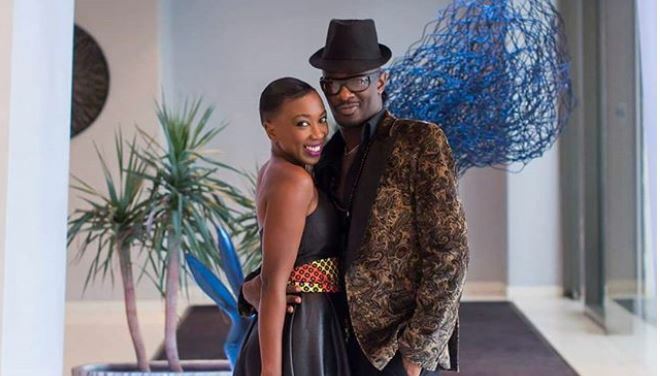 David Mathenge alias Nameless and Wahu Kagwi are the epitome of marriage goals. Against all odds, the campus sweethearts have officially clocked the 13-year milestone in their marriage. Never ones to shy away from public displays of affection, the lovebirds on Monday took to their respective socials to gush about each other as they continued to serve as an inspiration to many. “13 years ago…… on a day like today, by the beautiful shores of lake Naivasha, I said ” I do” to my campus sweetheart! Babe!!!!!! Can you believe our marriage is finally a teenager!!!! 😂😂. I’m so excited and so grateful to God for bringing us this far. And what a ride it has been! The high highs and low lows… The successes and failures, the tears and joys, the arguments and make-ups… all this and so much more make the canvas of our life together ever so colourful. You are truly my ride or die,” Wahu penned. The veteran musician did one better by dedicating a love song to his wife and children. Check out the lyric video for ‘Am good’ below.